A happy medium between luxury and efficiency. 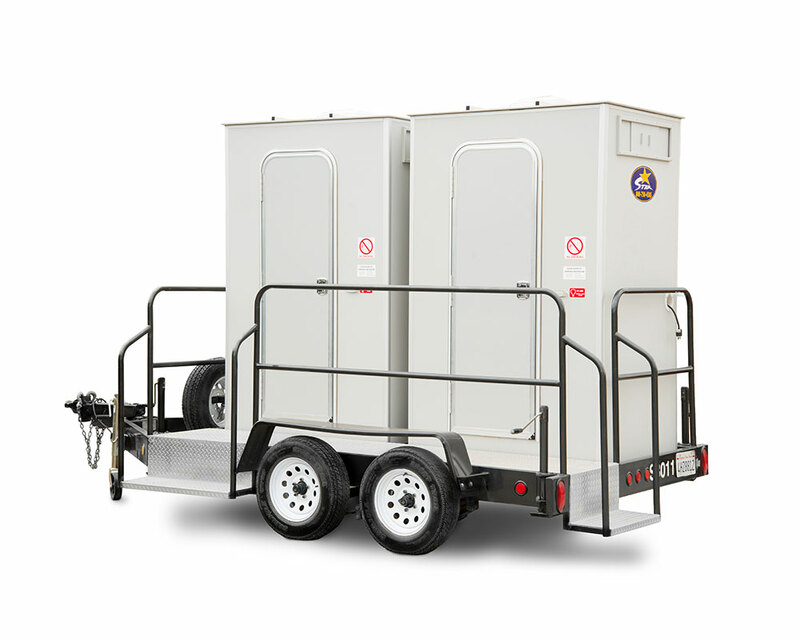 This sleek trailer comes equipped with two deluxe restrooms. Each restroom provides foot activated lighting, flush-able toilet, self closing faucet, liquid soap, hand towels, and a vanity mirror. This lavish trailer accommodates roughly 120 uses, varies depending on use. 8 feet wide, 17 feet long, 9.5 feet high. 60 approximate uses per unit (120 total between entire trailer).